Mobile devices are our closest companions. They help us a lot in our daily activities and as such, no one would like to spend the whole day charging his/her device. So in today’s guide, I’ll be sharing these 12 super-easy ways to make your phone charge faster. These 12 simple tricks will answer every tiny details you’d like to know on how to make your phone charge faster. They won’t affect your phone (irrespective of smart or feature phone) negatively or cause harm to it in any way.They’re simply the safest ways to make your phone charge faster. Although mobile power banks helps in keeping our cell phone up and running, knowing how to make them charge faster would save one a great deal of time. Irrespective of quick charge feature, large battery size, wireless charging capability or non: these tricks are meant to guide you on how to make your phone charge faster and without much inconveniences. This is one of the most effective ways to make your phone charge faster. When your device is switched off, it charges much faster because there are no active background processes or apps which could slow down the charging time. Many people overlook this simple trick but it still remains the best option to get your cell phone’s battery charge faster. Can come in handy for low-powered chargers, secondary phones, when sleeping and when not expecting a call. Another effective trick to make your phone charge faster is by activating the “Airplane Mode” for Smartphones or “Flight Mode” for feature phones (Nokia S40 series, Asha, Symbian, and other JAVA powered devices). This action is proven to reduce your phone’s actual Full-Charge time by 25% or thereabout. For people who do not like to switch off their secondary devices while charging, this is about the best option for them. How to activate airplane/flight mode in everyday devices? On smartphones: Simply draw/pull/swipe down your notification panel and click on the airplane icon, that’s all. 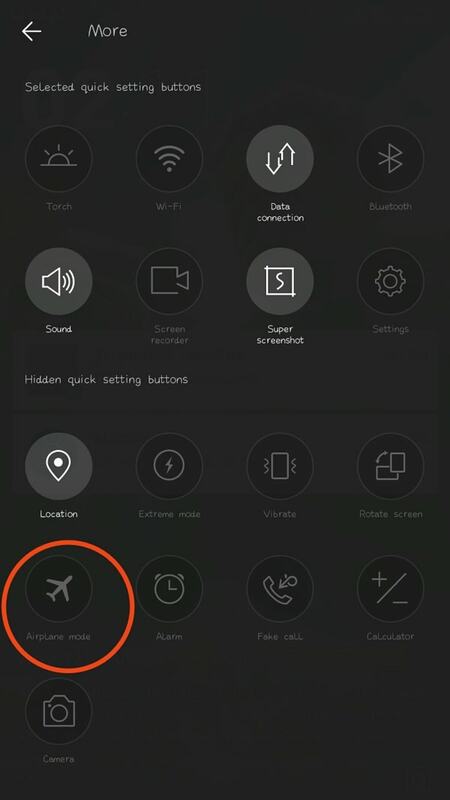 For Gionee users, swipe up your quick settings panel and then click on the airplane icon to turn on flight mode. You can also activate this option from your phone’s settings menu. Go to settings =>> wireless/networks =>> airplane mode. On feature phones: open the menu, locate the settings option and click to open, scroll down to phone settings option – here you’ll see the “Flight Mode” option, click on it to activate. For some phone models, plugging their charger into a wall socket will make your battery to charge faster than usual. This is because of the amount of power output in wall sockets, compared with socket extensions. It is also a solid option for those suspecting of an issue with their power strip, extension cords and/or electric extension sockets. If you are charging your phone via a USB cable connection – either through a PC or any other medium, make sure you activate the Charge Only Option. Normally (or depending on your device Operating System version), this option pops-up once you connect your phone via a USB cable. In rare cases where the “charge mode” option doesn’t show up automatically, you can activate it from your phone’s settings. 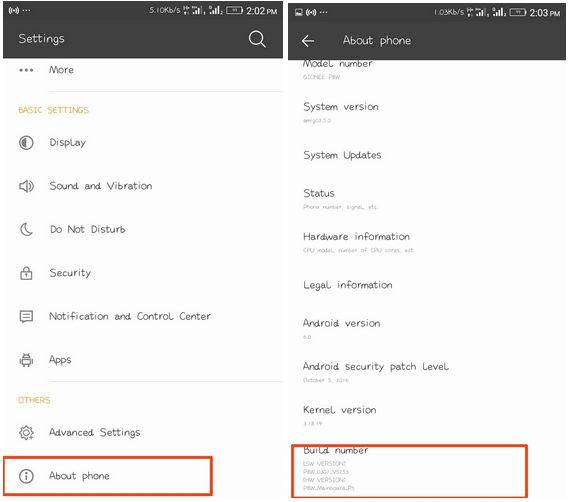 Goto settings =>>> about phone =>>> build number =>>> click on the build number row seven times to activate “Developer Options”. Now go back to your phone’s settings =>>> advanced settings =>>> now click on developer options. 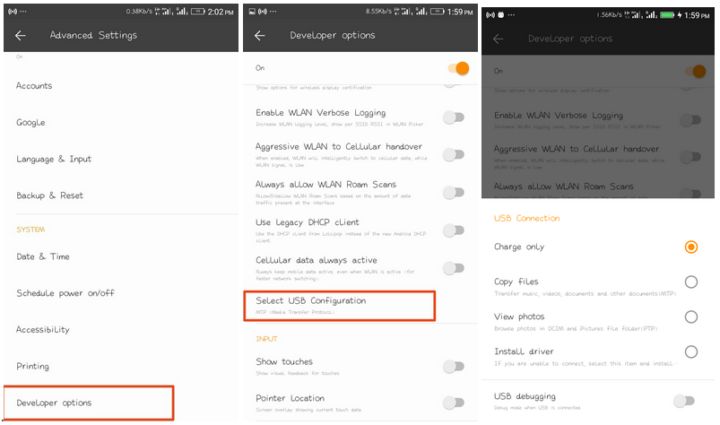 From the developer settings menu, scroll down and locate “select USB configuration“, click/select “Charging“, and you’re now good to go. Power banks are considered a good alternative power source for charging our mobile phones and smart devices. With a good power bank, you can charge your cell phone on-the-go. Many power banks amperage output are the same as wall sockets, most times, they are even more. But you must ensure you are not using a weak/low output power bank as it will not only charge your device slowly but can also cause damage to your phone’s battery. Using a high-quality charging cable can also boost your device charging time: Good cables charge your phone faster and at a great speed without causing damages to your phone’s battery. Tips on how to make your phone charge faster won’t be complete without a mention of this really valuable phone-charging best practices. Sometimes your phone’s case might restrict your charger from plugging into your device properly and thereby slowing down the charging process. Always readjust or even remove your phone pack/case whenever you want to charge it. While this might be surprising to a lot of persons, I have personally experienced it. My external pouch was impeding the proper positioning of the charging cable until I removed them completely. Although with a wireless charger, you can charge your phone on the go. Do not use them if you want your device to charge faster. They are Good, but not too good at charging devices faster! Wireless chargers are generally good for charging our smartphone and devices, but are however not the greatest option for making your phone charger faster. If you wish to spend less time in charging your smartphone, then you should not think of using a wireless charger. Research shows that they offer slower charging experience than their wired counterparts. When you are charging and using your mobile phone at the same time; it does not only slow down the charging speed, it reduces your phone’s battery life and can also damage your charging cable. Many people prefer operating their mobile phones more while it is plugged into a power source. This is not advisable at all as it can lead to many issues apart from slow charging. 98% of mobile phones (Feature phones and Smartphones) comes with battery saving feature preinstalled on them. This feature when activated disables some apps/processes that may slow down your phone’s charging time. Enabling this feature will help to boost the charging time of your device. I tested this on my aging Samsung galaxy note 10.1 tablet and was really impressed with the amount of charging time it saved me. There are no better ways to make your phone charge faster than using a factory or manufacture-recommended high-quality charger. Nothing else will cause your device battery to charge faster than a good/quality phone charger. Quality chargers comes with quality USB cords and will power-up your phone’s battery in just a few minutes. Apart from fast charging, they are durable and great for faster file transfer/file sharing. Smartphones by default run a lot of background apps/processes which can hinder your phone’s productivity. To disable these apps/processes, go to your device settings panel =>>> advanced settings =>>> developer options =>>>background process limit – now set it to “standard” or “no background Process” depending on the smartphone. To disable bloatware apps or unuseful apps: go to settings =>>> apps =>>> open the app and click on disable or uninstall. Note: Whatsapp messenger, Badoo, Skype, Telegram, Gmail and some other important apps uses background data/processes to work correctly. So do not forget to use a proper firewall app to disable the ones that aren’t needed. In my humble opinion, these are the twelve (12) solid ways to make your phone charge faster. They are safe to practice and have no side effect at all. If your smartphone comes with quick/dash charge technology, then you might not be needing any of these tips. But then, you can still give them a shot, if you’d want your battery to charge much faster than it does. Also note that most power banks and wireless chargers do come with brilliantly effective quick charge technology. Every tried any of these before or needs more tips on how to make your phone charge faster? Share your experiences, opinions and concerns with us via the comments section below. am quite impressed on this. 3ptechies.com have always been my home of getting really nice and exquisite reviews. Thanks once again for this guide and i suppose the number 11 is my best pick in all but all the same they are really good tips to put into consideration. We do appreciate your candid contribution. Thanks for dropping by and for your kind words too. Thanks for this Informative article on some relevant and effective Ways to make a phone charge faster. Thanks for sharing this really valuable tips.